A unique opportunity for you and an amazing opportunity for our church! I don’t often forward notes from others, but I just received a note from my parents, veteran missionaries Fred and Rachel Whitman, that you do not want to miss. First, they talk about a unique opportunity: an Italian Christian History Tour, led by my Dad. 2. It would be a great opportunity for you to enjoy Italy, learn about our history and have a greater understanding of the need of the country. 3. For a tour of its kind, it is truly a great deal. My Dad never makes any money off it…he loses money every time, but he considers it worth it because of what it does toward raising awareness in the hearts of the participants to the needs of Italy. The second part is regarding our new deacon! As a church body we were able to vote on a new deacon for our church body. Soon, we will update you on our furlough plans, but this message is time sensitive, so without further ado, happy reading, and we hope to see many of you here! The hotels already want a list of the participants so we really need to finalize our group for this fall. Don’t miss out on the best buy for a 11 day Italian tour which will take you to the cities of Rome (3 days), Assisi, Perugia (Sunday fellowship with the believers of the Centro Evangelico Battista), Florence, Pisa, the Waldensian Valley near Torino, Trent, where the Anti-reformation council was held, Venice and finally Pompeii. The land tour includes all hotels, breakfast and evening meals, museum entrance fees, English guides, our own tour bus for the entire time, and lots of great Christian fellowship. The total land fee is $1995. Book your own fight to and from Rome. Contact us immediately at fwhitman@bmmitaly.com and we’ll get you enrolled. Our church members met the 26th of February for out annual meeting. We rejoiced to review the budget and realize that the church not only met their budget but were also able to carry forward some projects on the building. A new door was put in adjoining the kitchen to the fellowship hall, a new security system was installed and the two old industrial building bathrooms were remodeled and with a new wall became part of the fellowship hall. The men painted the front of the building a pretty bright yellow. We only have three years left on our mortgage and we have never missed a payment. Another fantastic part of our meeting was the choice of a new deacon for the church. 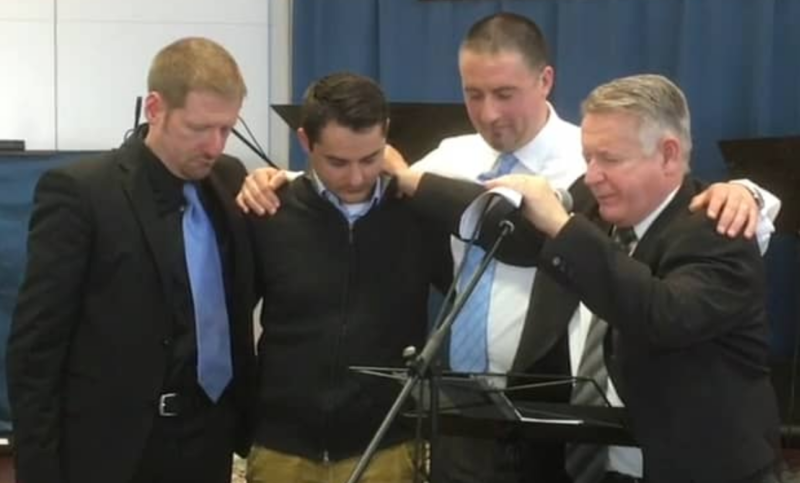 Of the men nominated only one name rose above all the others so Claudiu was recommended by the pastors and the church voted unanimously to call him as deacon 100%. Please continue to pray that God would lead us to a non missionary pastor as the church moves forward toward becoming indigenous. It is a challenge in Italy because there is very little available in sound theological training for pastors. This entry was posted in Announcement and tagged Church Planting, Italy, Leadership Development, Praise by jonathan. Bookmark the permalink.